In a bold move, Prof Tim Noakes is taking the Banting lifestyle to communities that need it the most – low-income areas. Often families in these locations make ill-advised meal choices that are high in sugar and carbs due to a lack of dietary education and budget constraints. The newly founded Eat Better South Africa! team, (that’s set up by The Noakes Foundation), will be tackling this issue by showing community members how to bant on a budget and proving how it can be beneficial to their health. 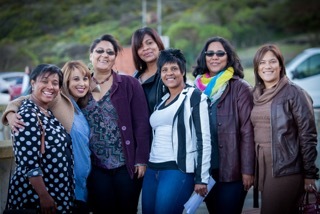 The team comprising of respected doctors, nurses and educators held their first intervention at the Ocean View community in Cape Town for five weeks. The results from the weigh-ins and blood tests showed the severity of the health situation. However, after completion of Ocean View Eat Better South Africa! 98% of participants lost weight, inches, felt better and many normalised dangerously high blood pressure, some even going off their meds. One of the programme’s main objectives is to diminish the idea that Banting is expensive and they do this by setting a budget of R30 per day. This results in participants coming together as a group to purchase food, share recipes and motivate each other at their weekly check-ups and talks. Carb heavy and sugary foods tend to be cheaper and more accessible to people in these areas, who then develop dietary related illnesses, such as type 2 diabetes and high blood pressure, (which incurs hefty medical costs), and loss of income. The project has already started in other areas, including Delft, Villiersdorp and Lavender Hill but the aim is to roll this message out nationally. This is why an Eat Better South Africa! fundraising page is launching this week, with the aim of getting 15 000 banters to each donate R100. A community intervention costs R120K to set up and manage, with R1,5 million the hope is to reach a wide spectrum of the population and kick-start this new revolution.